-logy is a suffix indicating notions of "study" and "theory". logy is a point of cultural connection, weaving in the experiences across Asia that have inspired us. We use seasonal local ingredients to create an inventive style of cuisine that celebrates the diversity of Asia, while staying true to our Japanese identity. logy is the word we have chosen to express Asia’s profound dynamism. The cuisine combines elements of our core concepts – nature, climate, people, religion and food culture – but defies categorization. Our aim is to create a harmony that blends together the various backgrounds of our chef, our staff and our guests into a new culinary experience, here in the alleys of Taipei. Ryogo Tahara was born in Hokkaido, Japan, in 1983. 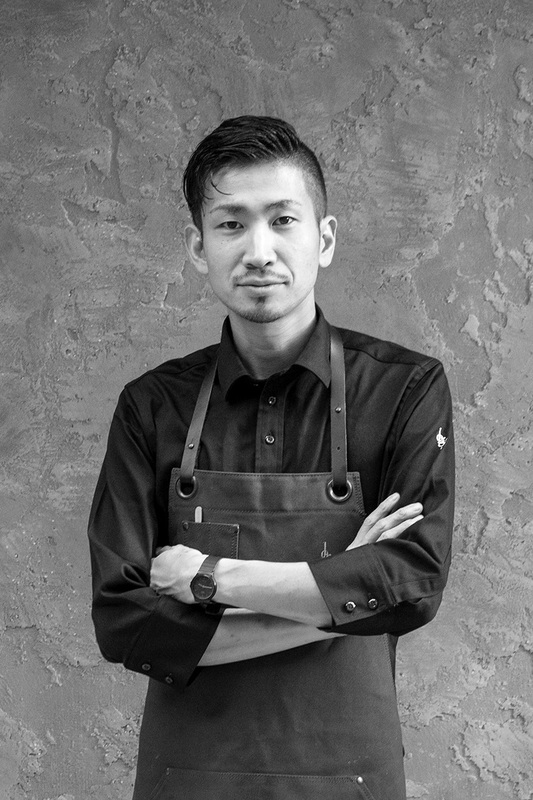 After getting his start at an Italian restaurant in Sapporo, he left for Italy in 2010. He trained in some of Italy’s greatest Michelin-starred kitchens, under chefs such as Gennaro Esposito of La Torre del Saracino (** Vico Equense) and Maurilio Garola of La Ciau del Tornavento (* Treiso). He opened logy in Taipei, Taiwan, in November 2018.